£1,945 Finance From £35.85 p/m*. For drivers who want an affordable city car that's impressively economical to run, the Chevrolet Matiz could be the answer. Compact and nimble, it's perfectly equipped for the urban landscape and is able to make light work of narrow streets and tight parking spaces. 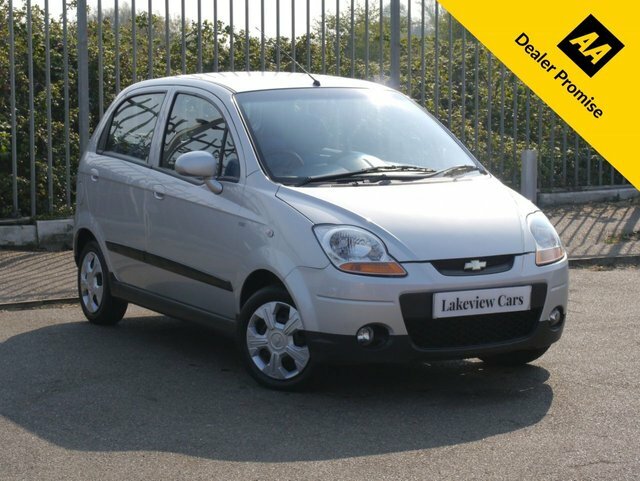 Take a test drive in one of the used Chevrolet Matiz models for sale in Biggleswade at Lakeview Cars by contacting a member of the showroom team today. You'll find all of our latest stock listed here on the website and our friendly and knowledgeable team will be more than happy to walk you through the range and answer any questions. Lakeview Cars is the name to trust when you're in the market for an affordable, quality used car in Biggleswade.